Abu Dhabi, November 21, 2018: The Arts Center at NYU Abu Dhabi (NYUAD), in partnership with the Korean Culture Center in the UAE, presents Bereishit Dance Company’s regional premieres of two acclaimed works, Judo and Balance & Imbalance, on Wednesday, October 28 at 8pm. Making their UAE debut, Korea’s Bereishit Dance Company blends contemporary dance with live pansori music (Korean shamanistic music) in a robust athletic performance inspired by martial arts. Showcasing incredible feats of agility as well as bouts of aggression and harmony, Judo captures a unique sense of catharsis and tension as well as movement and space. Staged on stadium mats, this production devises an unforgettable immersive experience of dance and sport. The second performance, Balance & Imbalance, a contemporary work accompanied by a traditional live pansori ensemble, embodies the relationship between bodily movement and sound. Both elements tug at one another in a cycle emulating balance and imbalance as they catch and flow throughout the piece. This performance offers a hypnotic interpretation of what takes place when a body responds to sound and offers it in return. 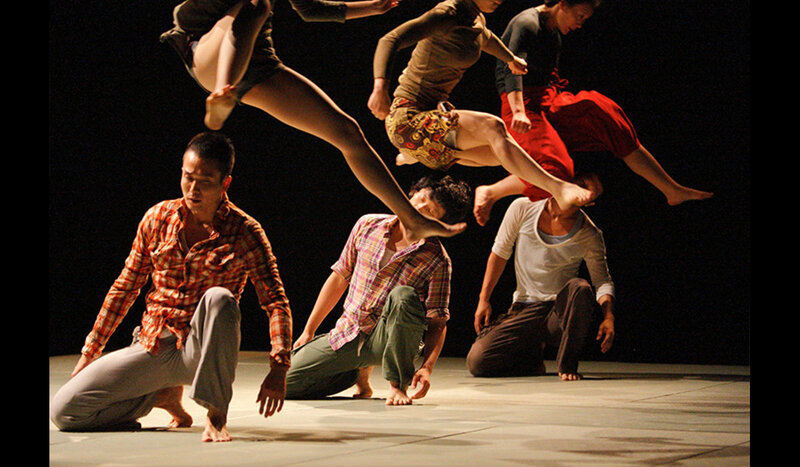 Choreographer Soon-Ho Park studied contemporary dance at Hansung University in Seoul, Korea, and actively worked as a professional dancer from 1992 to 2001. He then completed a choreography course at the Arnhem European Dance Development Center in The Netherlands where he developed his work, trying diverse experiments through his solo or trio pieces. His work opened the Festival Asia in Barcelona, Spain, in 2007. Since then, it has been presented at venues and festivals in many countries such as Poland, the United Kingdom, Brazil, Uruguay, India, Switzerland, and Mexico, amongst others. Since he founded Bereishit Dance Company, the company has been invited by many festivals and venues including Jacob’s Pillow Dance Festival, Cervantino Festival and the Internationale Tanzmesse nrw. Soon-ho’s works convey the various images surrounding the relationship between nature and people. Focusing on the origin of movements, he is interested in the fact that every subject has two different ends in itself.